In every generation we depend on a few people of supreme decency and intelligence to hold the world together. In Jewish tradition, there are at all times 36 tzadikim, righteous people, without whom the world would perish. 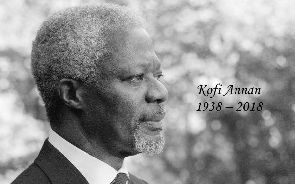 Kofi Annan was one of the righteous people, a man of extraordinary intelligence, decency, warmth and joy of life. He helped to keep our world from blowing itself apart, or dividing mercilessly between the rich and the poor.